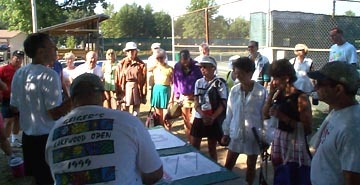 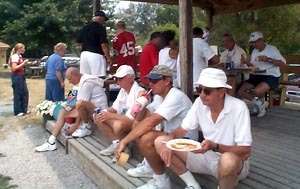 It seems every year the Round Robin Doubles Tournament is blessed with good weather, and this year was no exception. 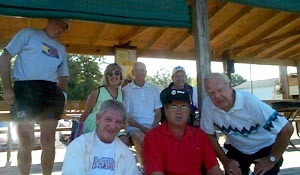 Gregg Balthes again organized a fun, competitive tournament with another good turnout of players. 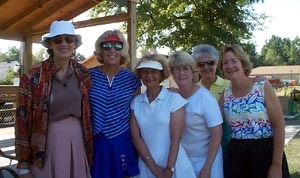 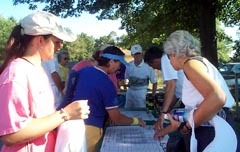 Eva Pelsoci took 1st Place for the women, with Judit Nemes and Joan Simpson tied for 2nd. 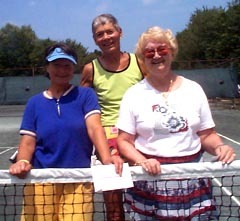 On the men's side, Dave Hinckley took 1st; Jim Flanagan, defending men's champion had another good showing in 2nd Place and George Misch took third. 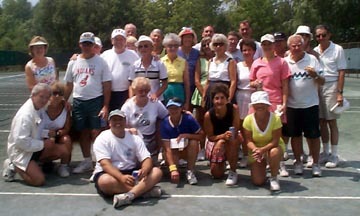 Congratulations to all and many thanks to Gregg Balthes for another great tournament. 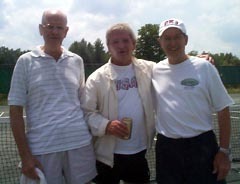 The Mens' Champions: George Misch, 3rd; Jim Flanagan, 2nd; Dave Hinckley, 1st. 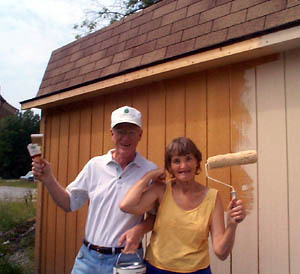 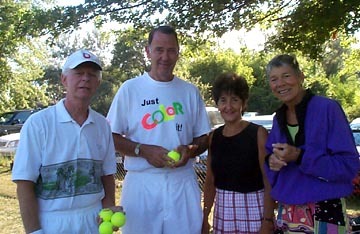 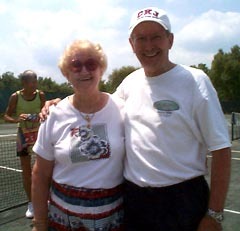 Don and Ursula Svenson: While everyone else played, they painted the new barn.